I hope everyone is having a wonderful Ramzan. A few weeks ago I attended a Bloggers Meetup held by Maybelline to promote their line of Color Show nail polishes. 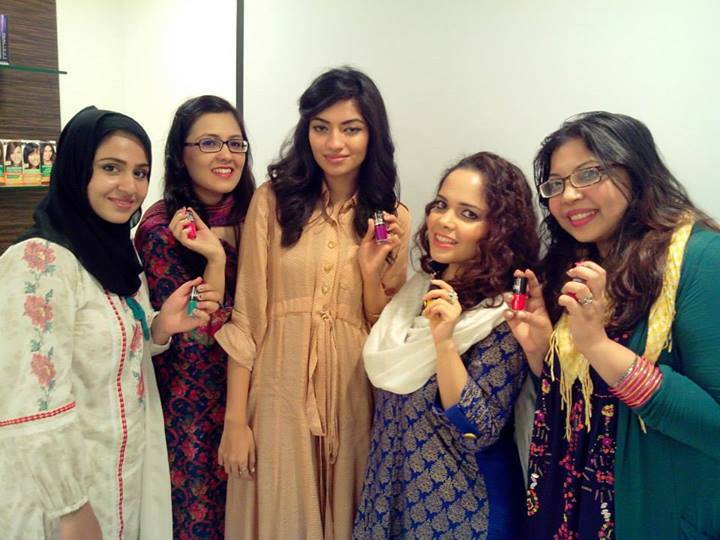 I got to meet a few lovely bloggers from Karachi. Here's a look at the meetup! The event was held at The Forum Mall where LOPAK's offices are located. They house L'oreal, Garnier, Maybelline and a few other brands. Me and Rabiyah of Rabeeyah's Blog arrived together because of the crazy traffic. Once we entered we noticed the gigantic displays of the new Garnier BB cream and artwork was displayed throughout their offices of various cosmetic brands. I absolutely adored the set up for the bloggers meetup, they had fun stands and gigantic Color Show Nail Polishes for display and nail polishes scattered throughout the room. They did an amazing job creating a fun atmosphere for the meetup. 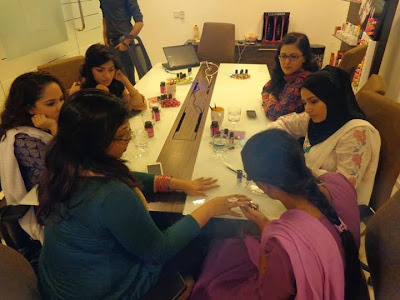 Hina and Wafa of Maybelline hosted the event. 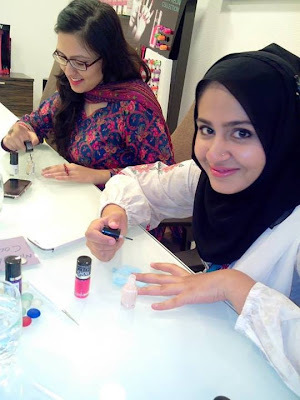 In attendance were Maliha of The Curious Red Alice, Naimal of Peachy Pout, Nida of Glitter Smitter and Rabiyah. I absolutely loved meeting Nida and Rabiyah again after such a long time, it was also fun to meet Naimal and Maliha for the first time. 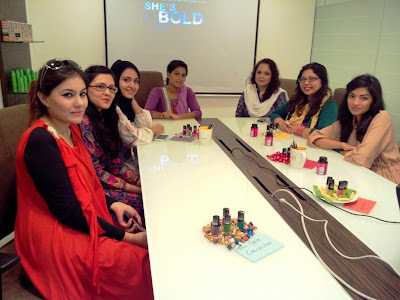 Maliha definitely livened the bloggers meetup so I hope to meet these ladies again! 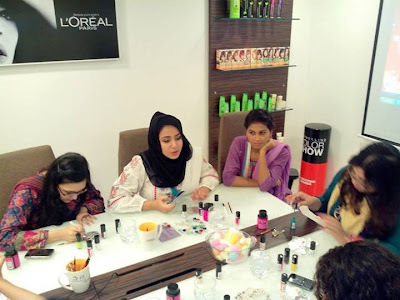 The purpose of the meetup was to introduce the Color Show Range with included a nail art session by a nail art expert along with us doing our own nail art afterwards. They showed us a video once the meetup started about how the Color Show range was inspired by fashion week. I thought this photo was hilarious, I look so confused. This was my 'omg Rabiyah's nail art is so awesome ..how did she do that'! 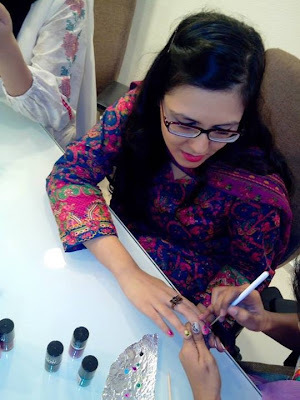 This is where the nail art expert stepped in to help me. The best part about the meetup was the goodie bag. 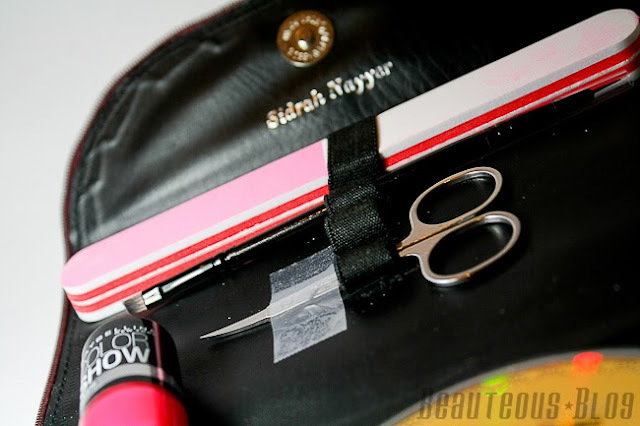 It was completely unexpected to see my name embossed on the maybelline nail pouch. This is something that I can keep with me in remembrance of the meetup, love this! 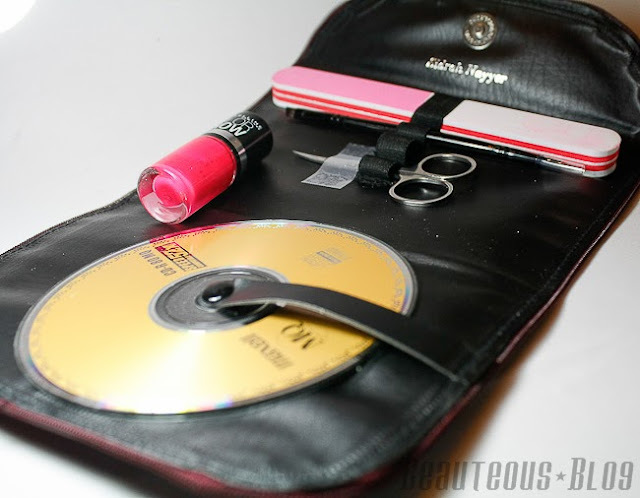 It's super cute and I'm planning to sew in pockets so that I can use this as a travel makeup case. 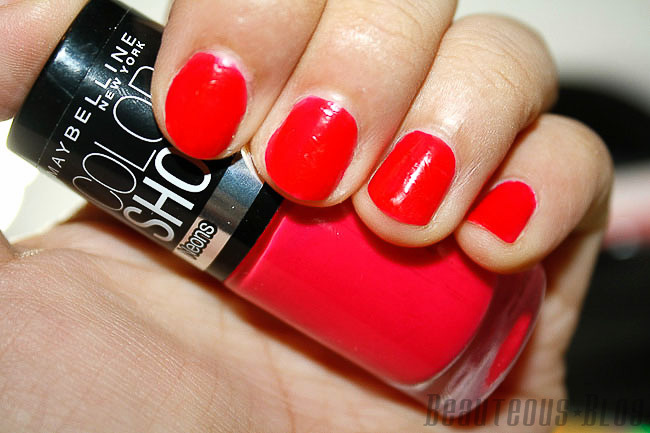 I got the shade Pink Shock, which everyone loved this polish color. Its a super bright neon pink. 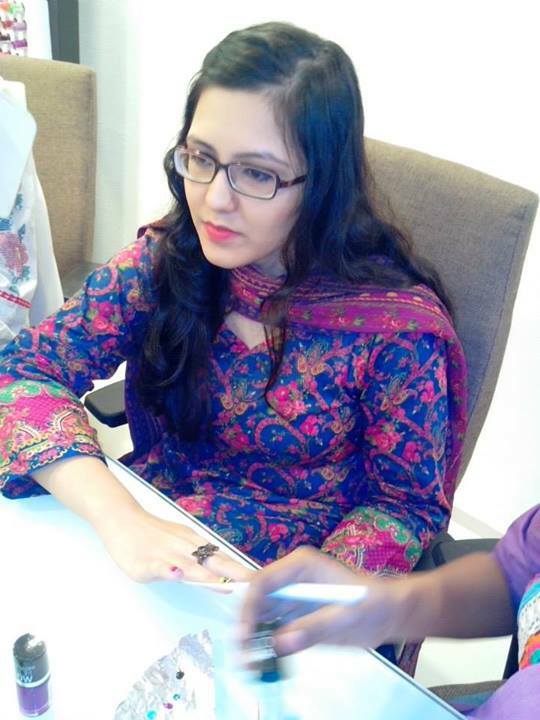 I had so much fun at the event, I'm happy I was invited to attend it and got to meet such beautiful bloggers. The Color Show nail polishes are available for 350rs. 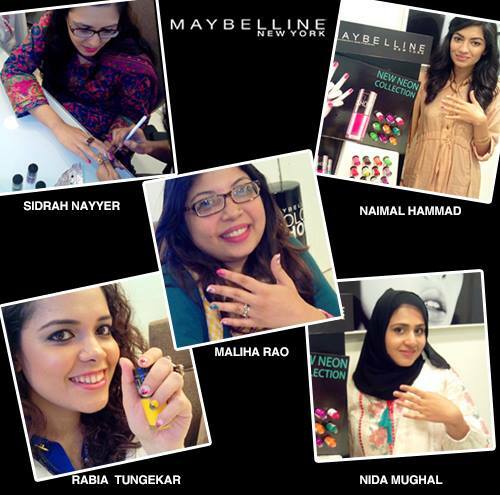 Check our Maybelline in Pakistan on Facebook. Aw thank you Shehrzad. I'm wearing Monsoon from CSP..the new Pure matt ones. omg ... so much fun.. They really did create a fun atmosphere and all the pictures are crazy good!! 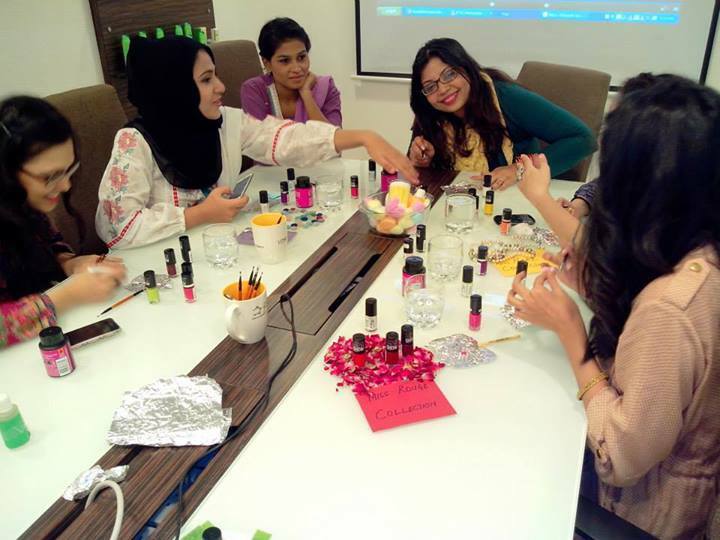 Love the little diplays of nail collections on the table and you guys look gorgeous. I love everyones make up! Oh wow! I love posts like these! Wish we had stuff like this in islamabad! Everyone looks so pretty!!! <3 Seems like a lot of fun! Really wish we could all meet up one day!! :) And I LOVEEE how they embossed your names! How cute of Maybelline to do that! nice pics.. you girls seems to have lots of fun..